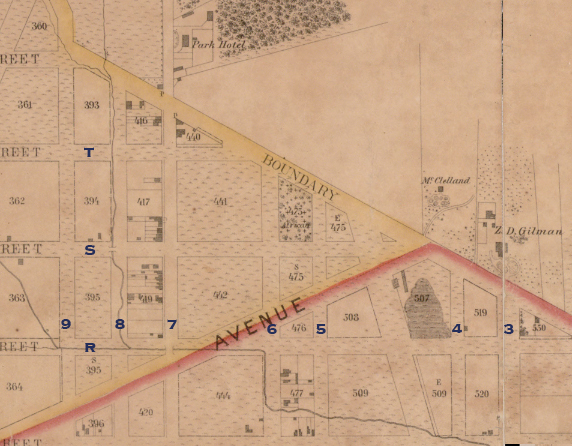 This is the first in a series of posts about historic maps of LeDroit Park. When the Federal Government established the national capital, it was to be located within a 100-square-mile diamond straddling both sides of the Potomac. 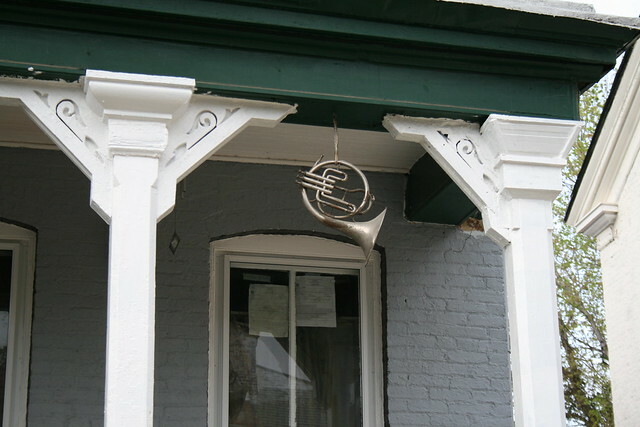 In fact, the City of Washington was just one of several established cities and settlements in the nascent Federal District, later called the District of Columbia. The City of Washington, as defined by Congress and Peter L’Enfant’s plan, was bounded by the Potomac River and Rock Creek to the west, the Anacostia River to the south and east, and by Boundary Street (now Florida Avenue) to the north. LeDroit Park sits just north of Florida Avenue, in what was originally the rural Washington County, District of Columbia. The District also included the City of Georgetown, the City of Alexandria, and Alexandria County (now Arlington County, Virginia). 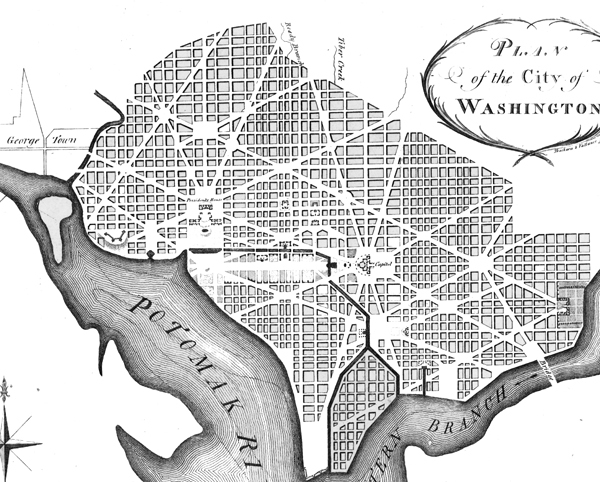 The map below, dating from 1792, was the first printed version of the L’Enfant Plan (as amended by Andrew Ellicott) for the City of Washington. Notice that its northern boundary coincides with what is now Florida Avenue. LeDroit Park now sits just to the west of what is marked as “Tiber Creek”. The creek, also called Goose Creek before the founding of the city, originally ran between First and Second Streets NW through Bloomingdale all the way to what is now Constitution Avenue NW, and westward toward the Washington Monument grounds, where it emptied into the Potomac River. Much of the creek is now buried in pipes beneath the city. The capital city grew slowly over the coming decades with new residents, including government workers and Members of Congress, housed in newly constructed houses and boarding houses near the White House and Capitol, respectively. The difficulty in finding enough skilled labor to build a capital city required the leasing of slaves, who were instrumental in constructing many of the grand public buildings that stand today. It would be a mistake to look at the map above and assume that all the new streets and canals were built together. In fact, the L’Enfant Plan was just that, a plan. The grand, spacious avenues required the clearing of trees and brush after a tedious survey to match the ground with the map. spacious avenues, that begin in nothing and lead nowhere; streets, mile-long, that only want houses, roads, and inhabitants; public buildings that need but a public to be complete; and ornaments of great thoroughfares, which only lack great thoroughfares to ornament. Whereas the global financial markets of today allow developers to develop large tracts of land at once, 19th-century cities had to be built piecemeal with speculation limited to small projects. LeDroit Park was no different: only several houses and only a few streets were built at first with the rest to come later. From 1856 to 1859, German cartographer Albert Boschke charted the District hoping to sell his maps to the U.S. Government. His 1859 map of the City of Washington (below) provided illustrative evidence supporting Charles Dickens’s sneer. Much of Washington, especially its northern reaches near what was to become LeDroit Park, sat undeveloped with only a few cleared streets. Download the full version of this map from the Library of Congress. To aid orientation, we have superimposed a few street names. The only clear north-south street was Seventh Street, which connected the city with the rural county and stretched into Maryland (albeit under different names). At R Street— if one could call it a street— it crossed an open creek that ran through the right-of-way. Seventh Street’s primacy as the main north-south thoroughfare actually contradicts the intention of the L’Enfant Plan, whose Baroque determination to provide a “reciprocity of sight“, plotted Eighth Street, not Seventh Street, as the more important axis. In fact to this day the right-of-way of Eighth Street is fifteen feet wider than those of Seventh and Ninth Streets, even though Eight carries only a fraction of the traffic burden that the parallel streets carry. It is difficult to enforce one artistic vision on a democracy; the shifting of axes, from Eighth to Seventh, merely reflects the fact that cities are shaped by their inhabitants in ways the founders never anticipate. The future LeDroit Park was no different. Next: Alfred Boschke maps the entire District and a future LeDroit Park resident prints it, only to have it seized at gunpoint. Over in Shaw, the billboards at the intersection of Fourth Street, P Street, and New Jersey Avenue have been removed after the billboard’s owner, ClearChannel, reached an agreement with the District.